In today’s world, personalization is in high demand with 79% of consumers reporting that they will only engage with brands if their experience is personalized. Delivering that level of personalization isn’t easy, though. Marketers need the right data and insights behind them to create a customer experience that matches their interests. And now more than ever, using that data responsibly is table stakes. But, believe it or not, most of your data is collecting dust. In fact, Forrester has found that companies only use 12% of the data they have available, leaving a lot of potentially useful information on the cutting room floor. So, how do you brush the dust off and where do you begin? Start by getting a little inspiration. With GDPR just around the corner, if you want increase the amount of data you’re leveraging responsibly and apply it to your customer journey, there are a lot of sources you can go to for advice. To save you the time of having to find them, we gathered the top data, analytics, and marketing technology experts so you don’t have to. Every individual on this list is qualified to offer tips and tricks on elevating your insights and using them to power your customer journey. Give them a read and get a sneak peek what they have to offer below. Ranked as the No. 1 Most Influential Woman in MarTech by B2B Marketing, Tamara McCleary is a top expert on internet of things (IoT), artificial intelligence, big data, and MarTech. Tamara also has great insights on everything digital marketing, including marketing with AI, cyber security, and mobile data. Follow Tamara on Twitter and LinkedIn. Chief Digital Evangelist is Evan’s official job title. And it’s not off-base having been ranked as the No. 1 Influencer in IoT in 2017. Using his 25+ years of experience in IT and marketing, Evan is an expert in helping brands achieve massive visibility through mobile technology, IoT, social media, and more. Follow Evan on Twitter and LinkedIn. As the leader behind T-Mobile’s “uncarrier” marketing, Nick is a master at weaving marketing and experiences together into an impactful customer journey. Using digital transformation and customer insights, Nick has helped T-Mobile revolutionize wireless and adopt a customer-centric approach to everything that they do. Want to hear more from Nick? Check out his article, Putting the Human in Digital. Follow Nick on Twitter and LinkedIn. Scott Brinker was the editor of chiefmartec.com for over a decade and served as the program chair for the MarTech Conference for almost five years before stepping in as the VP of the Platform Ecosystem for HubSpot. If you’re curious about which marketing technologies you should adopt or leave behind, Scott has a plethora of knowledge that can help. Follow Scott on Twitter and LinkedIn. Part of Forbes’ famed 30 Under 30 list in 2017 for Enterprise Technology, Wade Foster is already an accomplished entrepreneur. As the founder of a successful SaaS startup, Wade believes in listening for customer feedback and using that data to inform product plans. To hear more about how Wade uses customer comments, check out his article: The Customer Is Always Right…Except When They Aren’t. Follow Wade on Twitter and LinkedIn. With over 30 years of experience in global marketing and brand management, Penny is a big advocate for data-driven and customer-led marketing. As the CMO of a large telecommunications firm, she is leading the forway into the emerging 5G economy and detailing its impact on the mobile customer experience for brands. Follow Penny on Twitter and LinkedIn. As a marketing expert with over 20 years of international marketing experience, Jeremy focuses on disruptive technologies and how they’ve transformed—and are transforming—the customer journey. Currently, Jeremy’s sights are set on blockchain and how it will impact marketing campaigns. Curious to learn more? Read Jeremy’s article How Blockchain Is Beginning to Impact Loyalty Marketing. Follow Jeremy on Twitter and LinkedIn. Getting his start in video game development at Electronic Arts, Linden created his own technology (If This, Then That) to give people more control over their digital experiences. Linden’s expertise on voice search, connectivity, user experience and more have been featured in publications like PCMag, TechCrunch, business2community, and many others. Follow Linden on Twitter and LinkedIn. Digital transformation has had an incredible impact on banking—something Mark Middlebrook knows well having been in the banking industry for over 20 years. Managing City National Bank’s interactive marketing and experiences, Mark is an expert in supporting marketing strategies through smart data and technology. If you want to learn how AI could make an impact on your marketing, read Mark’s article, What CMOs Need to Know About AI. Follow Adelyn on Twitter and LinkedIn. An award-winning analytics mastermind, Sameer is frequently listed as a top influencer in big data analytics. His blog, keywebmetrics.com, is also ranked as one of the top digital analytics blog in the world. Sameer’s focus is on using analytics to optimize the customer journey, resulting in more conversions. Follow Sameer on Twitter and LinkedIn. Jason Moriber’s expertise lies in innovation and transformation. With a history of helping companies both large and small grow through digital strategies, Jason has a wealth of digital transformation tips and best practices. At Verizon, he has designed and launched a new “Experience” team to transform their customer engagement. Follow Jason on Twitter and LinkedIn. A “godfather of mobile and wi-fi,” Bob Egan is an expert in mobile and digital experiences that provide massive benefits. With over 30 years of experience in marketing, technology, and analytics, Bob is also a leader in IoT, helping brands make sense of all of the ways they are connected with customers and how to leverage them in their customer journey. Follow Bob on Twitter and LinkedIn. With over 15 years of experience in the digital media and television space, Christian is an expert at understanding his media audience and consumer behaviors to create memorable television experiences. In addition to serving as Viacom’s SVP of Global Consumer Insights, Christian also serves on the board of egta—the European Group of Television Advertising. Follow Christian on Twitter and LinkedIn. Peggy Smedley is an award-winning journalist covering topics like IoT, M2M, and technological innovation. She’s even opened her own institution, the Peggy Smedley Institute, which is now a top-ranked professional education organization providing IoT knowledge. Follow Peggy on Twitter and LinkedIn. 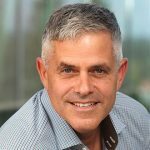 Listed as one of the top global IoT influencers, Dean Johnson has over 30 years of experience in design and technology. To lead his own innovation agency, Dean uses customer insights and emerging technologies to create problem-solving solutions that resonate with customers. Follow Dean on Twitter and LinkedIn. Ronald Van Loon is an expert in collecting and analyzing customer data trends and behaviors and turning them into business opportunities. Featured in publications from The Guardian to Data Science Central, Ronald believes data-driven companies investing in IoT, big data, AI, and analytics deliver more value. Follow Ronald on Twitter and LinkedIn. With a career in artificial intelligence and data science, Oliver Christie is a leader in improving customer data through machine learning and AI solutions. In addition to his work as an AI consultant, Oliver frequently contributes to AI publications, including In Above Intelligence, Towards Data Science, Becoming Human on AI, and more. Read Oliver’s top Artificial Intelligence and Data Predictions. Your marketing efforts are more effective when they’re powered by high quality data that personalizes and enhances the customer journey. Look to these customer data, analytics, and MarTech experts for insight and inspiration on how to those high quality datasets and apply them to your marketing campaigns. Want a tool that makes leveraging customer data easy? The Treasure Data Customer Data Platform (CDP) unifies all of your customer data to create a holistic view of your customers that enables smarter marketing campaigns and experiences. See how Treasure Data can make an impact at your organization by requesting a demo.